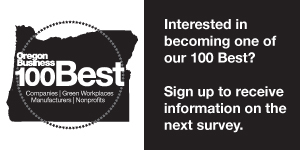 Our annual ranking of the 100 Best Companies to Work For in Oregon. Click through the following slideshows to view our Large, Medium and Small rankings. can you just put an easy-to-read list? Really hard to navigate your list in Firefox browser. The slides are very small and hard to scroll through.